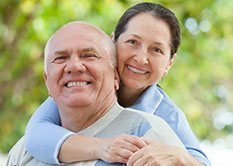 If a patient is missing most of their permanent teeth, Dr. Lockwood may recommend dentures in Kenai, . Partial dentures are used when a patient still has one or more teeth in their upper or lower jaw. Partial dentures are appliances that replace missing teeth and restore the beauty and functionality of your smile. Removable partial dentures are made of replacement teeth attached to pink or gum-colored, plastic replacement gums. This is sometimes connected to a metal framework, which holds the denture in place. A precision partial denture uses internal attachments instead of clasps, so it is natural looking. Dentures usually take several weeks and appointments to construct. To make your partial denture, our dentists will take several impressions and measurements of your jaws. Models are constructed in the exact shape of your future denture. 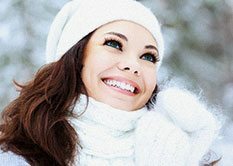 Our dentist will have you try on the model several times so the fit, color, and shape can be accessed and adjusted. Once everything is satisfactory, your final denture is cast. 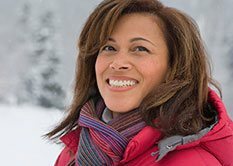 We encourage you to contact Kenai Dental Clinic today to learn if partial dentures are right for you and to schedule your next appointment with Dr. Lockwood.